It must be the heat. This endless 2018 UK heatwave has brought about my own bout of le cafard. In my sultry ennui, thoughts have turned to the desert. And when I think of the desert, I think of my WordPress avatar. 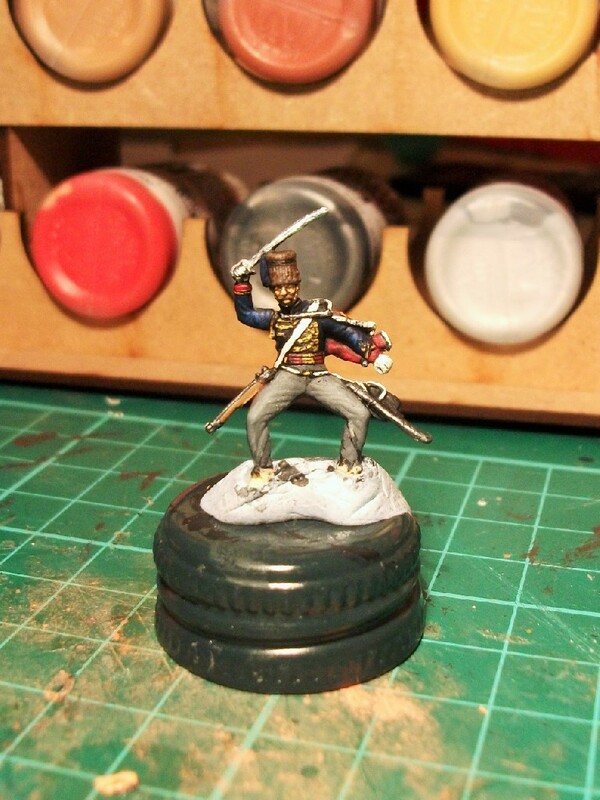 He is an old Esci 1/72 scale figure of the French Foreign Legion from my childhood collection. 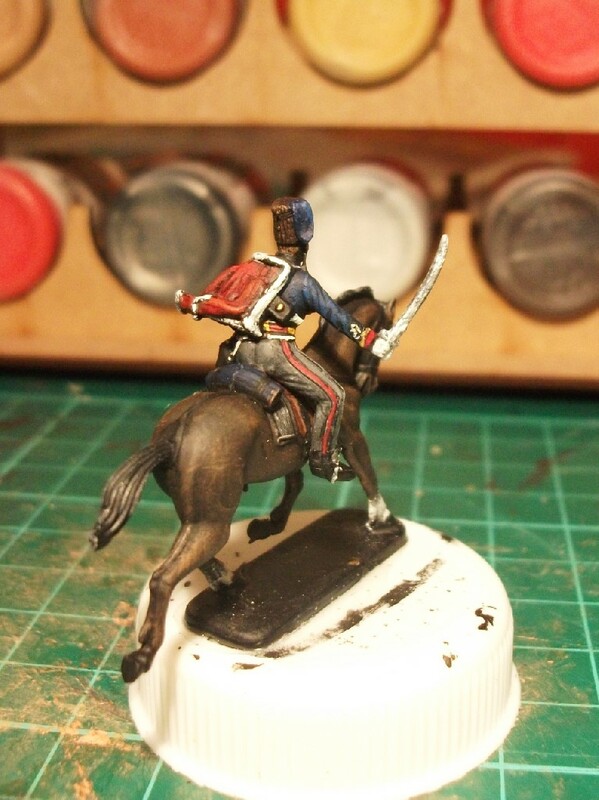 Some time ago I dubbed him Sergeant Lejaune, after a character from Beau Geste. The little fellow had something of the bearing of a tough and experienced NCO about him. Such was the terrific quality of the sculpting that it was possible to reveal a face of real character. 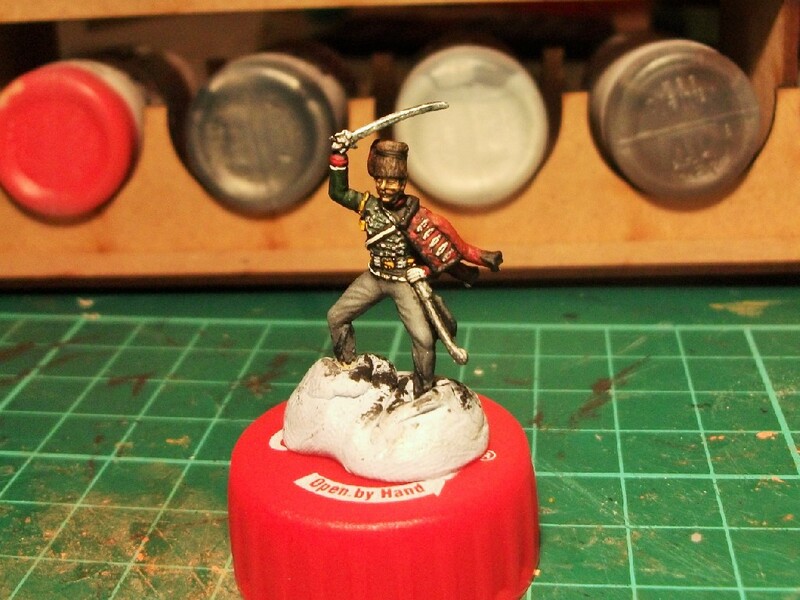 I think I painted him about 5 or 6 years ago along with a handful of other Legionnaires from Esci’s now very rare set “French Foreign Legion”. “He came from the regimental offices, a fierce-looking, thick-set, dark man, with the face and figure of a prize-fighter; glaring and staring of eye, swarthily handsome, with the neck and jowl of a bull-dog. He also had the curious teeth-baring, chin-protruding jaw-thrust of a bull-dog, and there were two deep lines between the heavy beetling brows. …This was Colour-Sergeant Lejaune, a terrible and terrifying man, who had made his way in the Legion (and who made it further still) by distinguishing himself among distinguished martinets as a relentlessly harsh and meticulous disciplinarian, a savagely violent taskmaster, and a punishing non-com. of tremendous energy, ability, and courage. At this point you’re probably beginning to realise what a thoroughly unpleasant character Lejaune is. Not perhaps the best name for a welcoming avatar! In the book, we learn a little of Lejaune’s history. He came from service in the Belgian Congo, a colony which had a reputation for appalling brutality towards its indigenous inhabitants even amongst the widespread colonialist attitudes of the day. And later, through the coming to the Legion of a deserter from the Belgian army, we learnt a sinister, significant, and explanatory fact… Lejaune had been dismissed from the Belgian Congo service for brutalities and atrocities exceeding even the limit fixed by good King Leopold’s merry men. Looking again at my avatar, however, although I dubbed him Sergeant Lejaune, he has a distinctly kindly face with more than a hint of a warm smile about him. He’s more of a favourite uncle than a fearful NCO. Perhaps he’s the alter ego of Wren’s Lejaune? Belgian sadist his namesake may be, but as my avatar he’s quite a welcoming face to visitors. 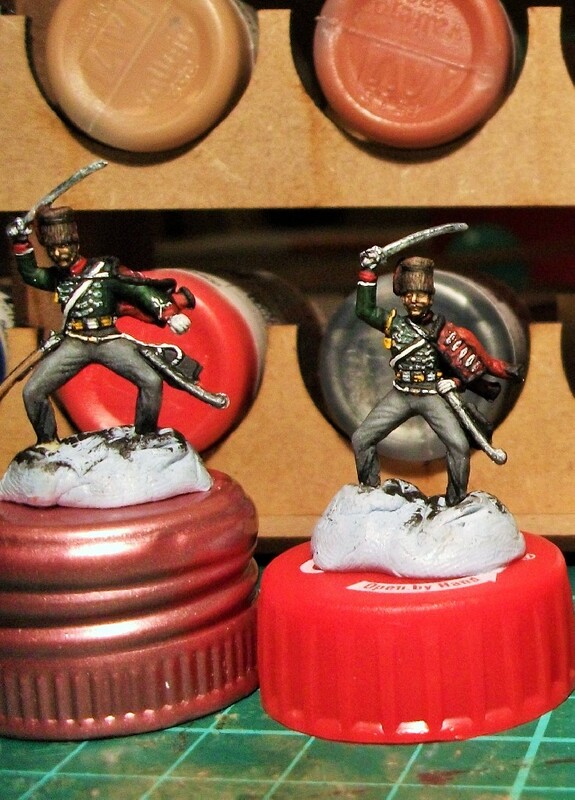 Here are a few of his ‘chums’ from the French Foreign Legion. 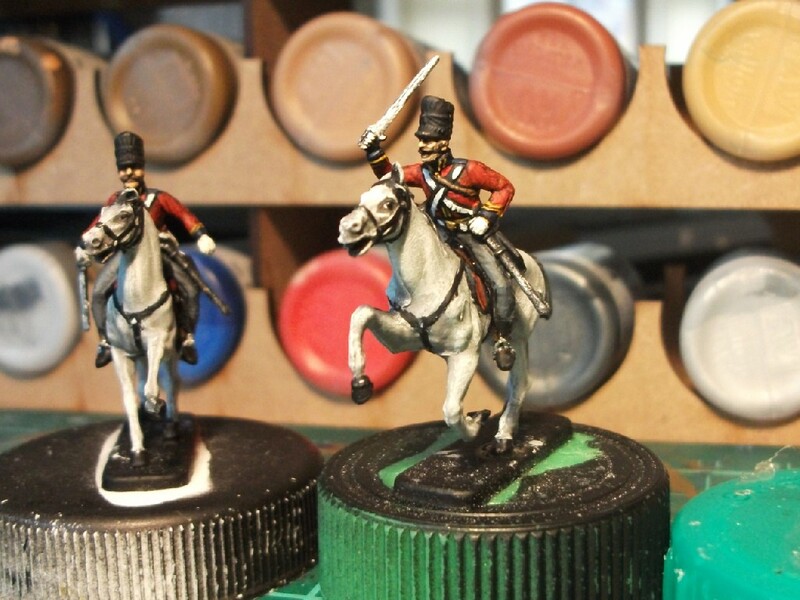 Bear in mind that I painted these back in 2012/13, I believe, when I’d only been painting 1/72 scale for a matter of months. I think they stand up pretty well! 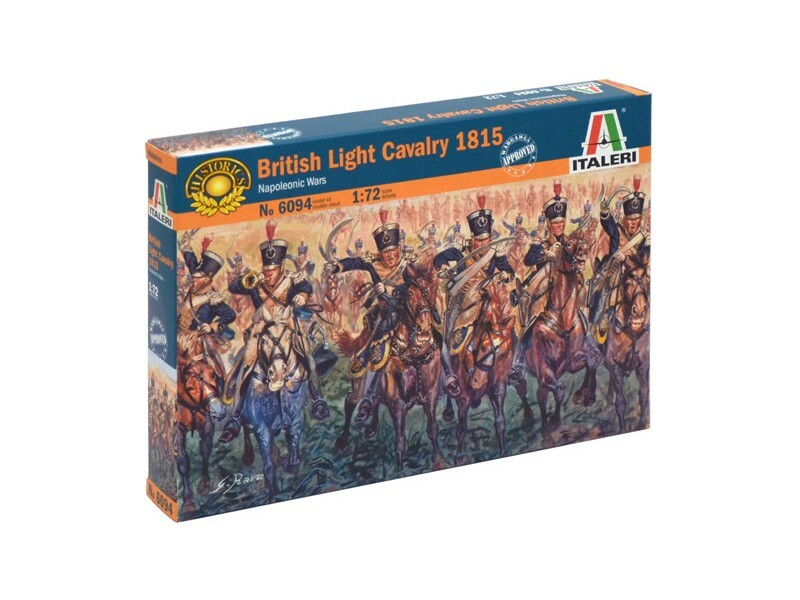 I said that this Italeri set is very rare, but boom times are coming to lovers of Beau Geste in miniature scale. In some great news, I understand that Italeri are soon reissuing this set of figures, although it seems only as part of a big “Beau Geste: Algerian Tuareg Revolt Set” which comes with a fort, Tuareg tents, Tuaregs and more. At 64 euros, I may have to think carefully about that! 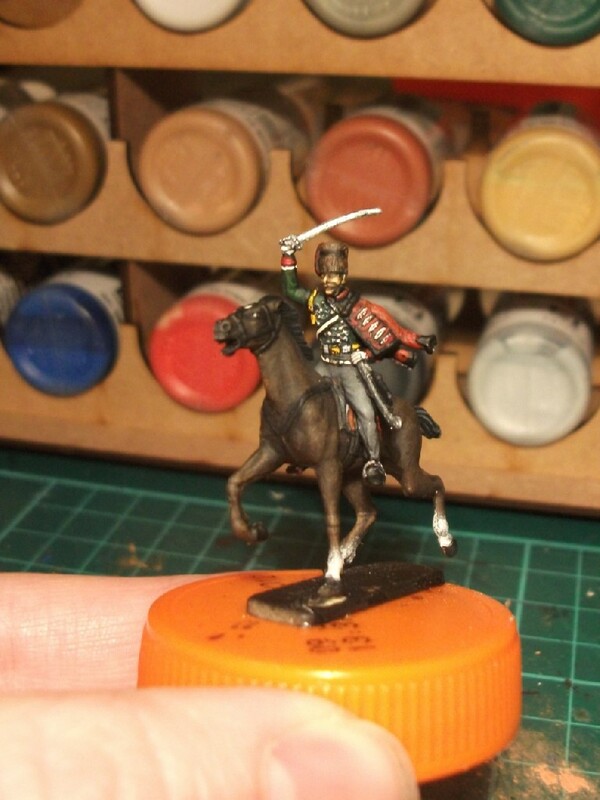 What’s more, Strelets are also apparently working on their own fine-looking set of Foreign Legion and Arabs! This early version of Wren’s famous tale was a silent movie and starred Ronald Colman as Beau Geste with the actor Noah Beery playing the role of the Sergeant Lejeune. Noah Beery (far right) as Sergeant Lejaune. “Best of all, and what gives the picture real guts and grit is Brian Donlevy’s famous performance of ‘Sgt. Markoff’, next to whom the Sahara is no big deal. Brutally sarcastic and about as sadistic as the Production Code would allow, this remains one of foremost villain roles of the 30s. ‘Accidentally’? One has to wonder given the strained relations on set! 1966’s update had Telly Sevalas playing the infamous nemesis of the Geste brothers. This film took great liberties with the original plot; the British Geste brothers were now American and had been reduced to just two. As with the 1938 film, our sergeant had been renamed again to Sergeant-Major Dagineau. Dagineau is revealed to be a former St. Cyr military school educated officer who was broken to the ranks once his previous troops under his command had deserted to a man. I well recall eagerly watching this series as a boy when it was released, greatly enjoying the depiction of these soldiers on television. The brothers Geste were played by Benedict Taylor, Anthony Calf and Jonathon Morris. In the 1982 BBC series, John Forgeham played the sadistic sergeant. A character actor noted for his ability to play less than sympathetic roles, the 6-foot tall Forgeham was very well cast, exuding menace and violence in every scene. 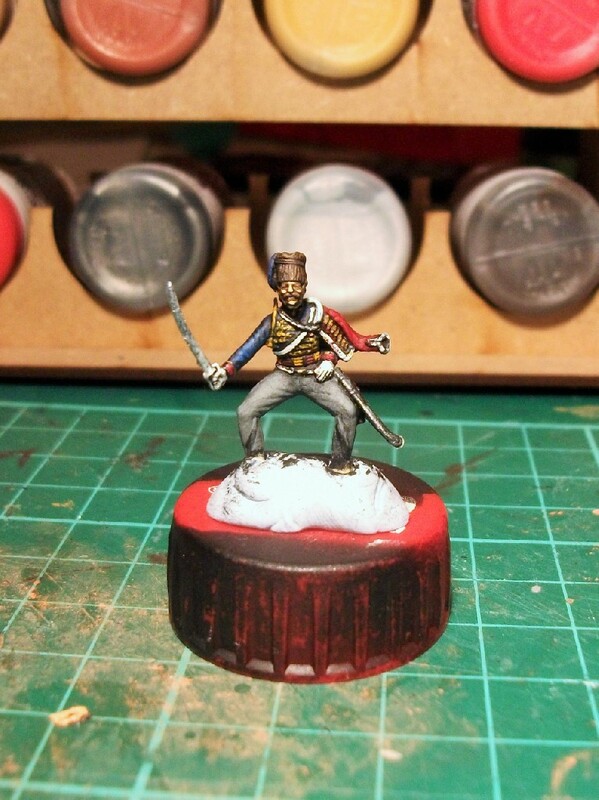 Forgeham’s Lejeune tears a strip of an unfortunate Legionnaire. “Now, my merry birds,” said he, “you’re going to sing, and sing like the happy joyous larks you are. We’ll let our Arab friends know that we’re not only awake, but also merry and bright. Now then–the Marching Song of the Legion first. All together, you warbling water-rats–Now.” And led by his powerful bellow, we sang at the tops of our voices. The BBC budget restricted the outdoor filming location to a less authentic, but nonetheless vaguely convincing, Dorset sandpit. It was not the first film of the Foreign Legion to have its desert scenes shot in the south of England, the 1967 Carry-On film “Follow that Camel” substituting the Sahara for Rye and Camber sands! 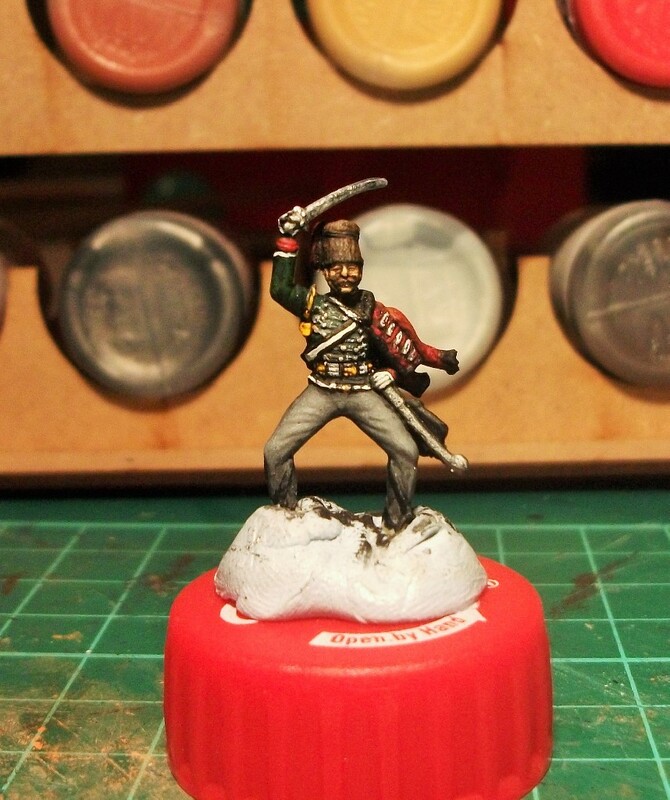 An Update: It seems that the Foreign Legion is all the rage in this hot weather. 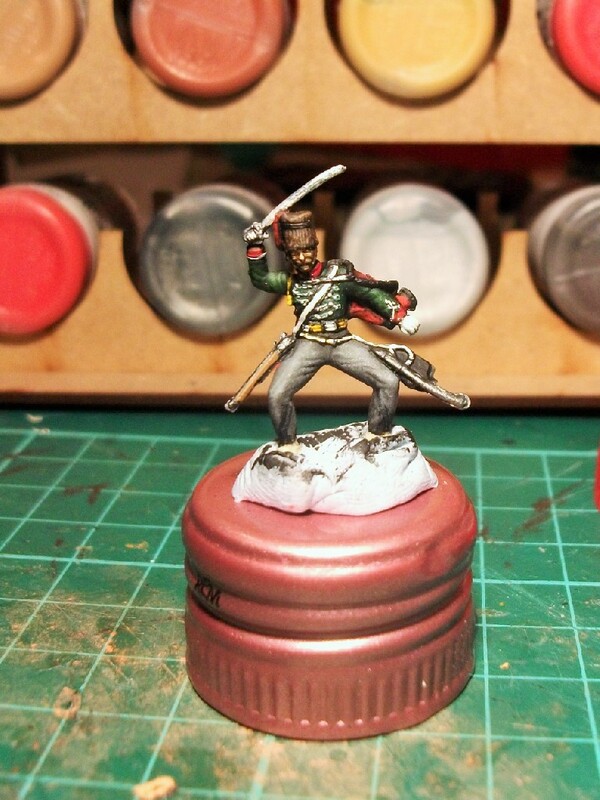 My good friend Mark at Man of Tin Blog has coincidentally just posted on his own band of 15mm Peter Laing Legionnaires, complete with palm trees courtesy of Danish chain “Flying Tiger”. I wonder if there’s a Sergeant Major Lejaune amongst them too? 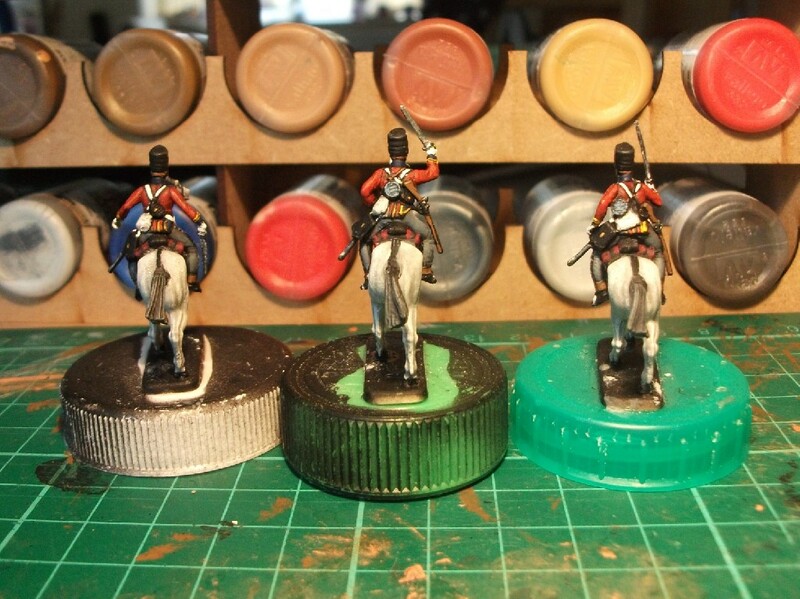 My first regiment (Scots Greys) are already completed and just need basing. 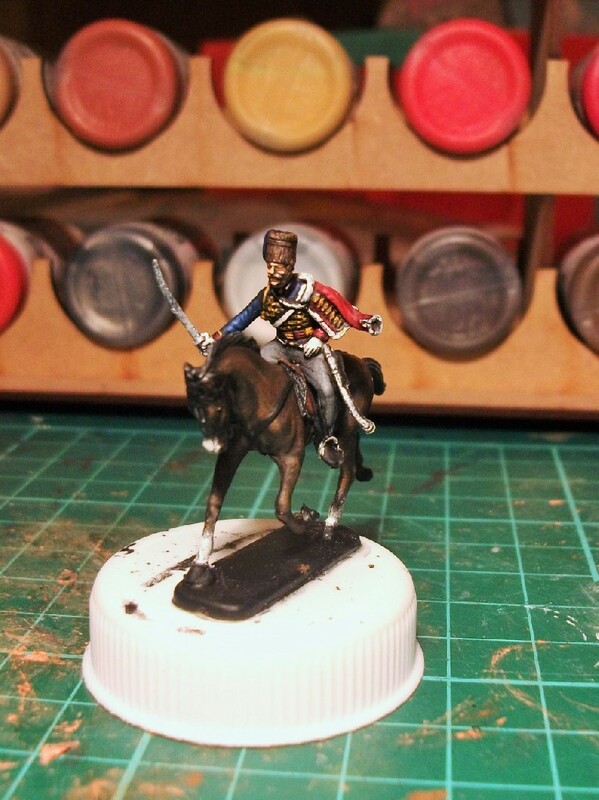 There are already a half-dozen each completed of the Hanoverian Hussar regiments. 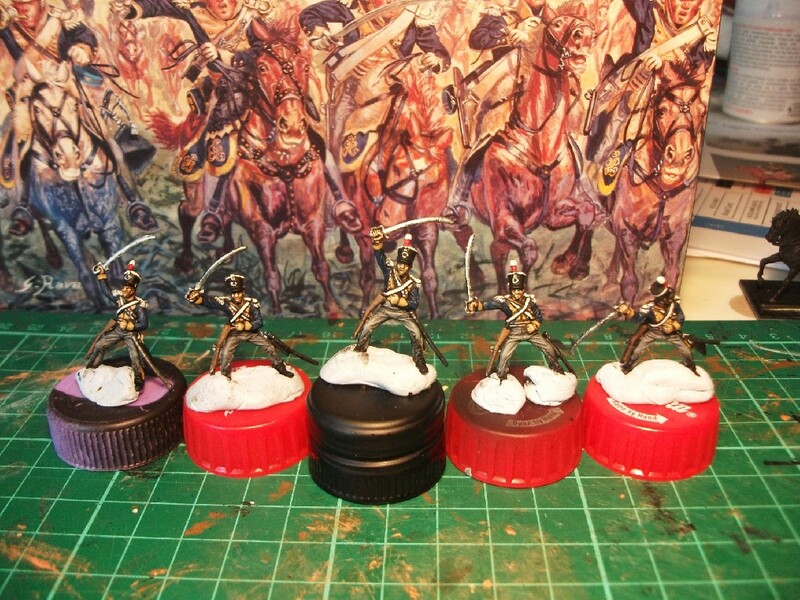 Maybe I’ll use up the remaining four hussar figures before I call them finished too. 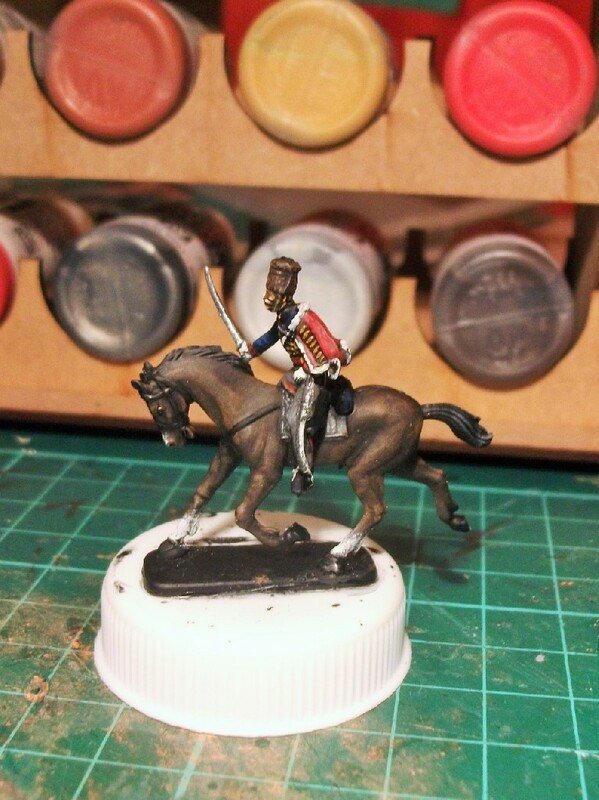 The ten French hussars depicting the 1st Regiment are nearly there too; just five more horses and some finishing touches to go on the final troopers. And finally(! 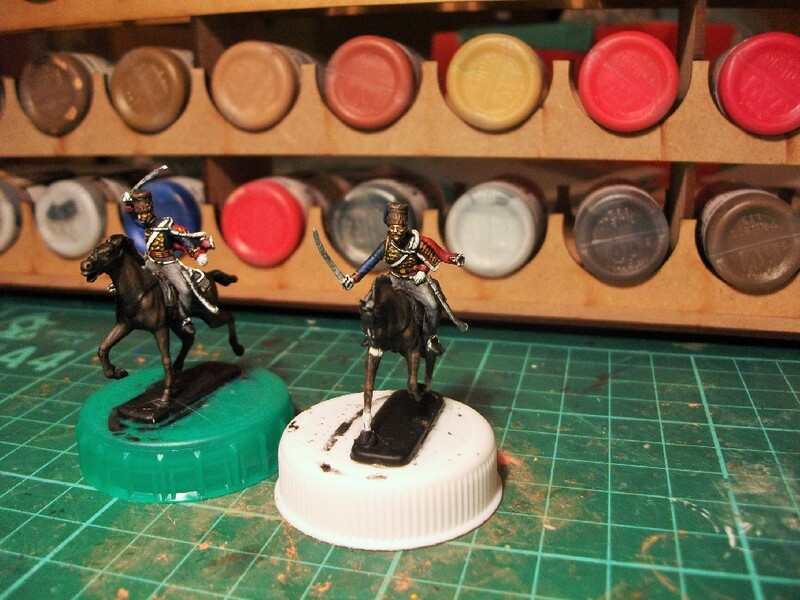 ), here are the nearly finished Esci Hussar figures (save for a little work on the horses). 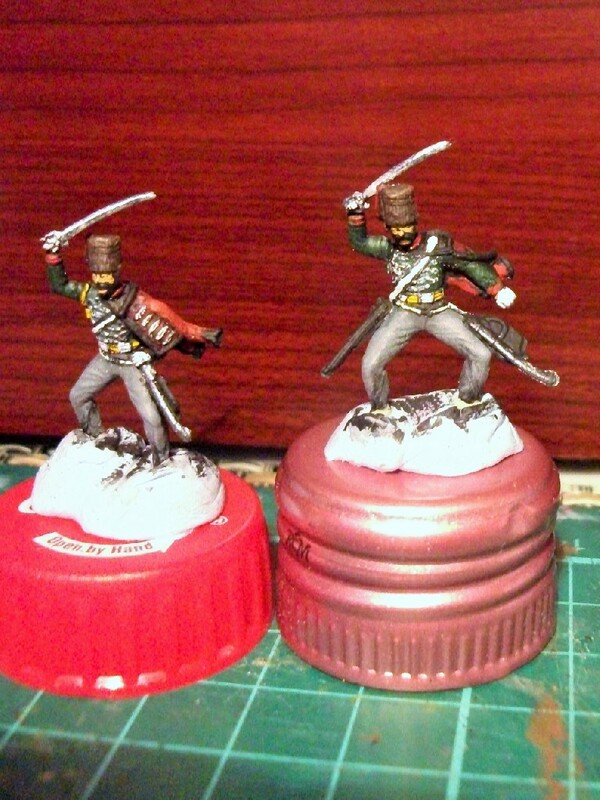 I might put them forward for the BFFFWP or otherwise build up a small regiment of both types. It’s been fun working on these figures, if something of a challenge too. There may, however, be one last thing to do. 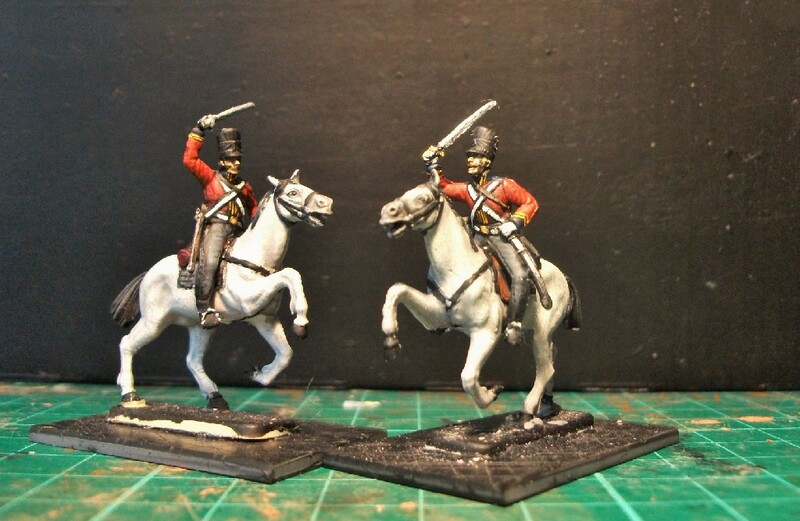 These Esci figures portray horses without a sheepskin blanket roll cover. 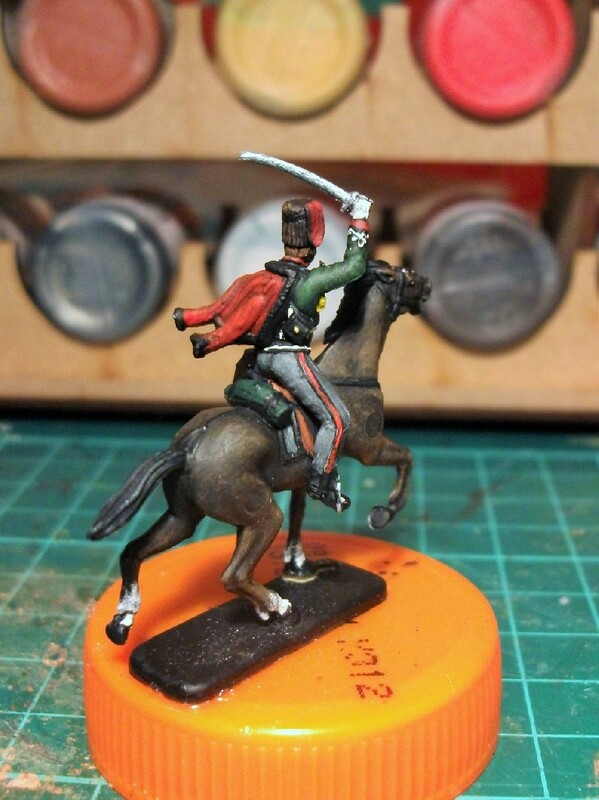 This invites the possibility of a small conversion using some modelling clay and glue. I may leave them for now but come back to them again to attempt this at some later date. And as one final mention of all things hussar related, I visited an excellent museum in 2013 dedicated to the 10th and 11th Hussars (and their successor regiments), called Horsepower in Winchester. It was well worth a visit for anybody with an interest in cavalry and military history, not least due to the lack of any entrance fee! 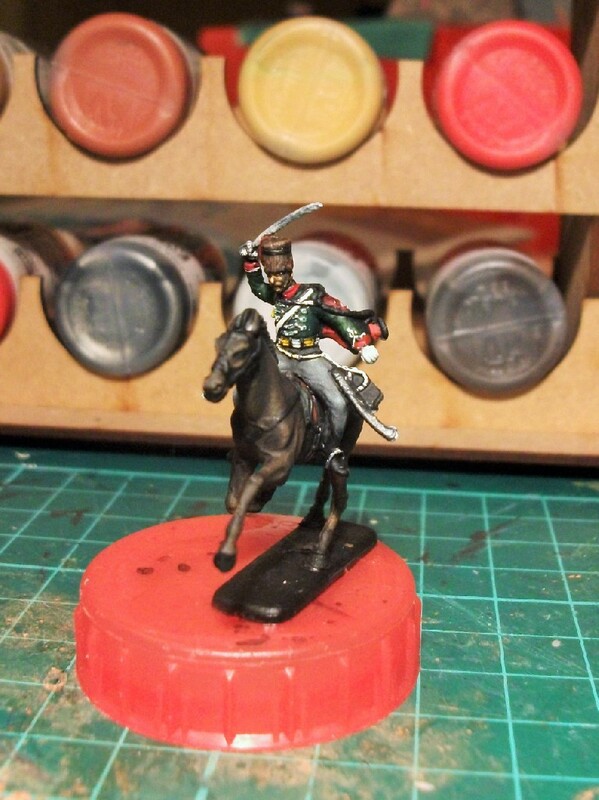 So now I know why I’ve steered clear of attempting to paint hussars in the past. 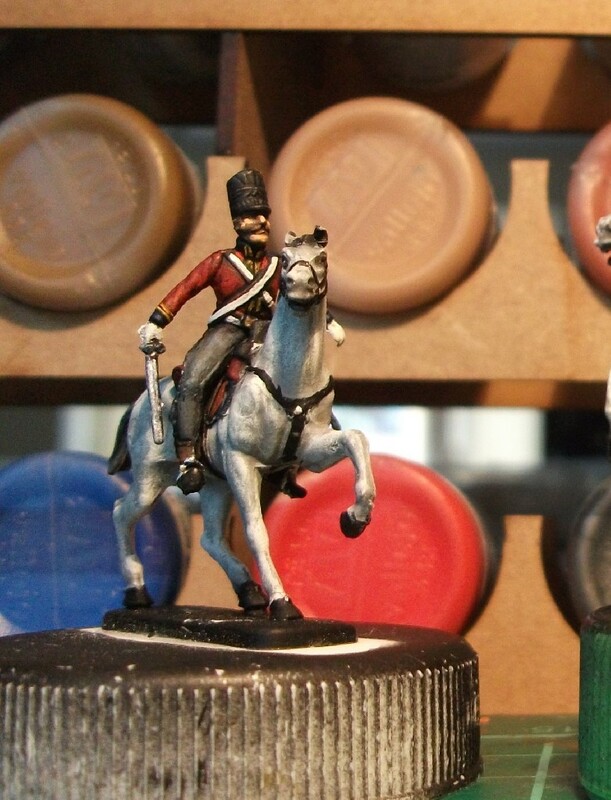 All that intricate gold braiding, outrageous colours and a fancy fur-lined pelisse cast rakishly over the shoulder make for some fiddly painting. 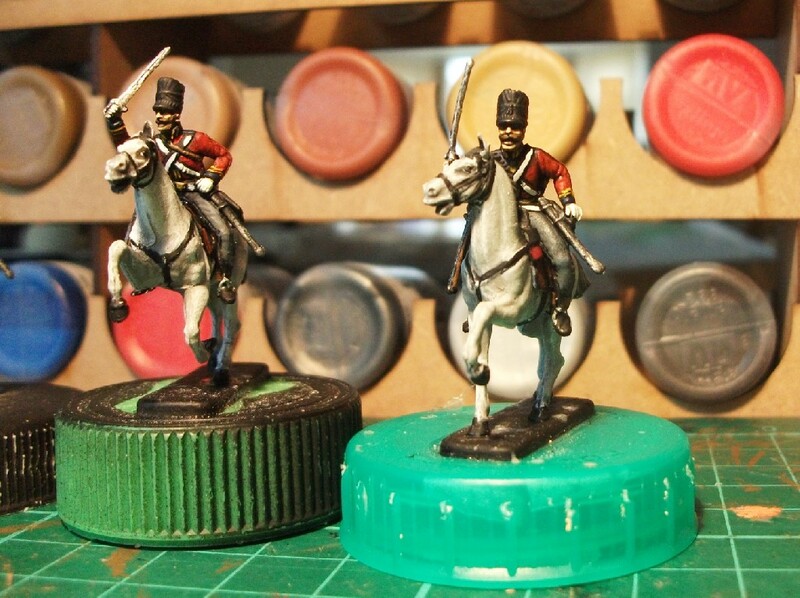 Following on from the previous post’s Scots Greys, I’ve picked to do some hussars which are also up for grabs in the BFFFWP exhibition. Whether I’ll submit, or get the chance to submit, all these figures is a moot point, but nevertheless it’s nice to have something to paint for, beyond simply obeying one’s own whims and preferences. 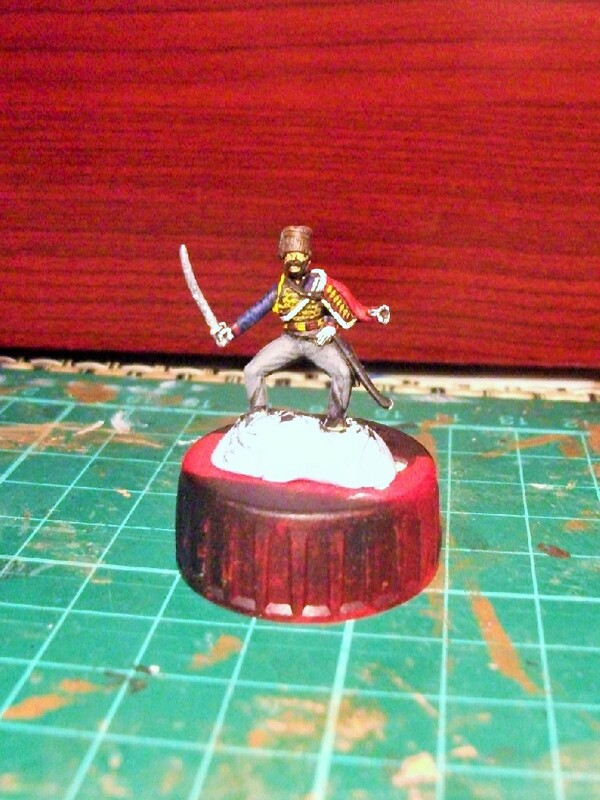 A few words about Hussars. 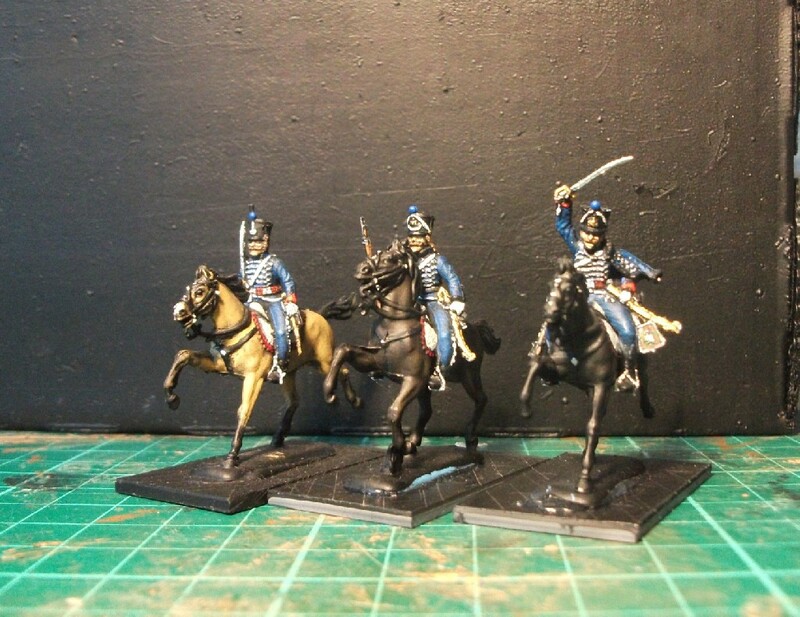 Basically, they are a type of light cavalry which originated in Hungary. The etymology of the word is complicated, but its emergence as a military unit came as bands of émigré Serbian cavalry were employed in wars against the Ottoman Turks. 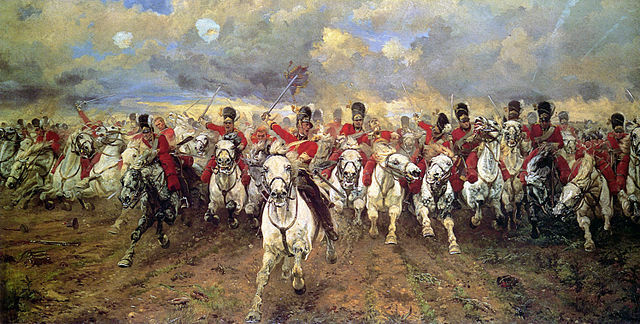 Throughout the 18th and 19th centuries, hussars gradually became a familiar feature in many European armies. 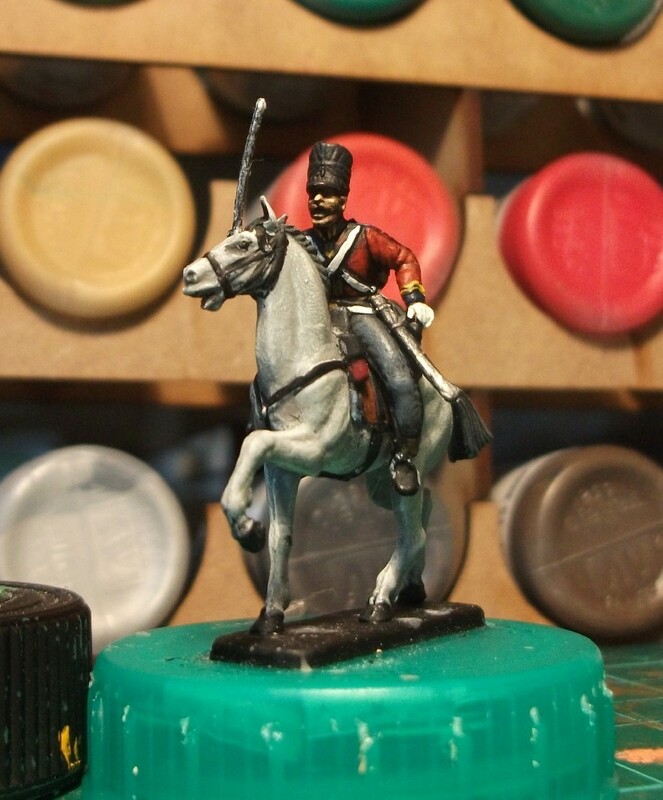 Q: What’s the difference between a hussar and a light dragoon? This isn’t a joke; it’s the kind of rhetorical question that occupies my mind when to everybody else at my workplace I simply appear to be just staring into space. The answer, so far as I can tell, is ‘fashion’: Hungarian style. First, they wore a short jacket called a Dolman with lots of horizontal gold braid on it. An over-jacket, usually with yet more ornate braiding, called a Pelisse was usually worn slung over a shoulder. Headgear was (usually) a busby with a coloured bag hung over one side of it. Finally, an incorrigibly dashing moustache was an essential part of ‘the look’. Hussars had a reputation for being the dashing, if unruly, adventurers of the army. The traditional image of the hussar is of a reckless, hard-drinking, hard-swearing, womanising, moustachioed swashbuckler. General Lasalle, an archetypal showoff hussar officer, epitomized this attitude by his remarks, among which the most famous is: "Any hussar who is not dead by the age of thirty is a blackguard." He died at the Battle of Wagram at the age of 34. 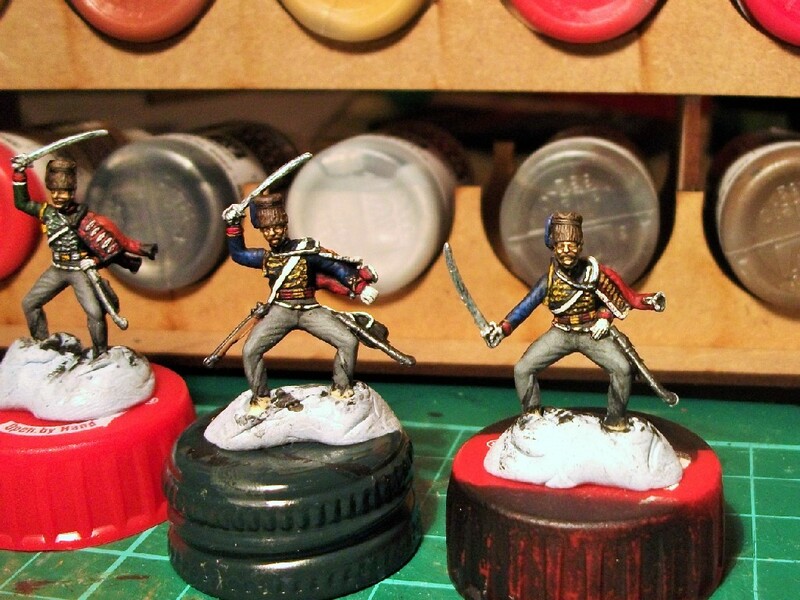 All this ornate fashion sense could make them more expensive to equip and it certainly makes them more difficult to paint. 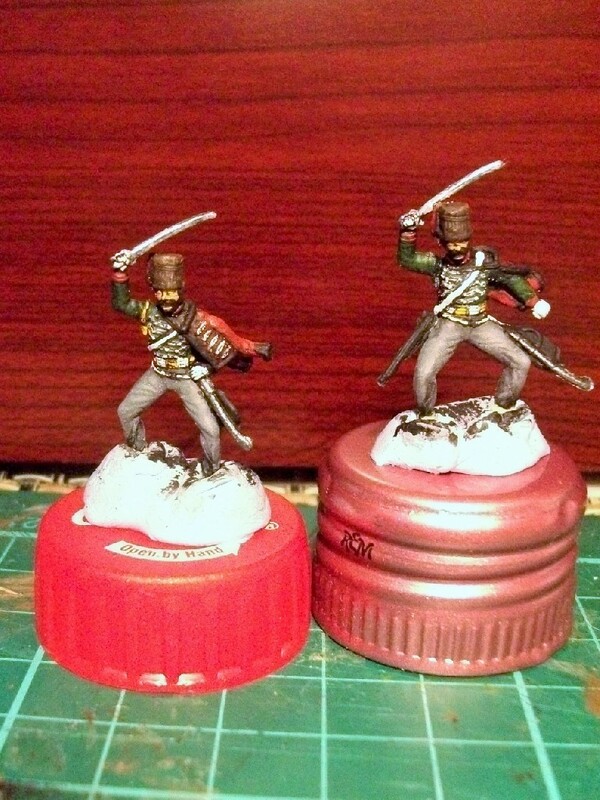 I’m using the figures recommended in the BFFFWP, Esci’s British Crimean Hussars. 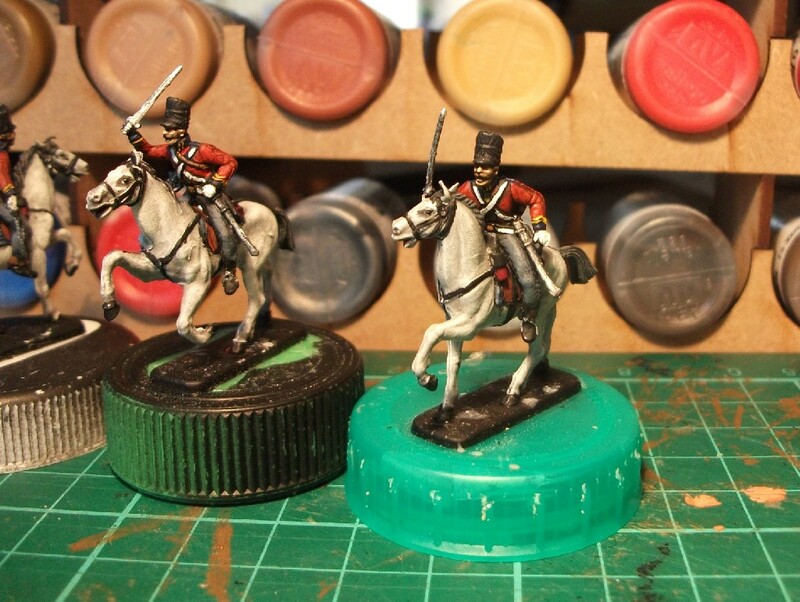 Like the Scots Greys, these chaps are also an unpainted relic of my youth, recovered from the loft. 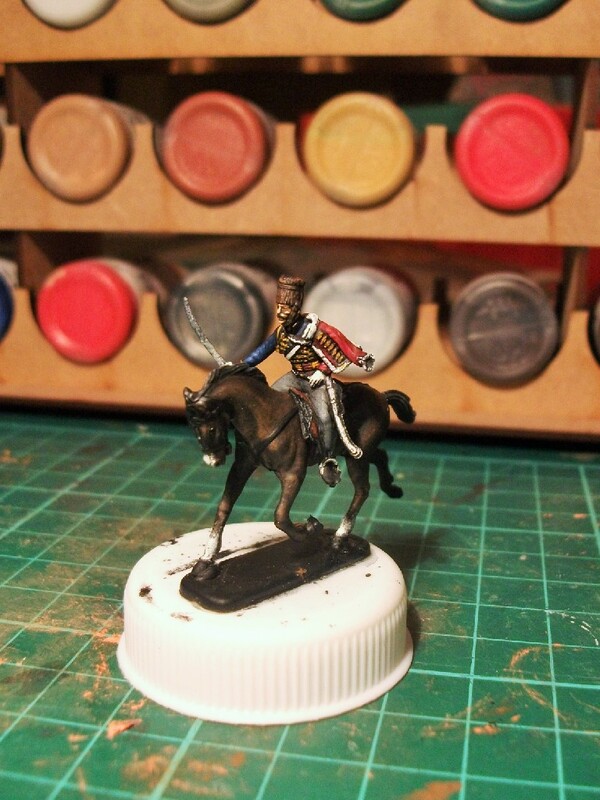 Apparently, these Esci figures make for better Napoleonic hussars than Crimean ones, so I’m painting the Bremen and Verden Hussar regiment (green dolman) and the Luneburg Regiment (blue dolman). 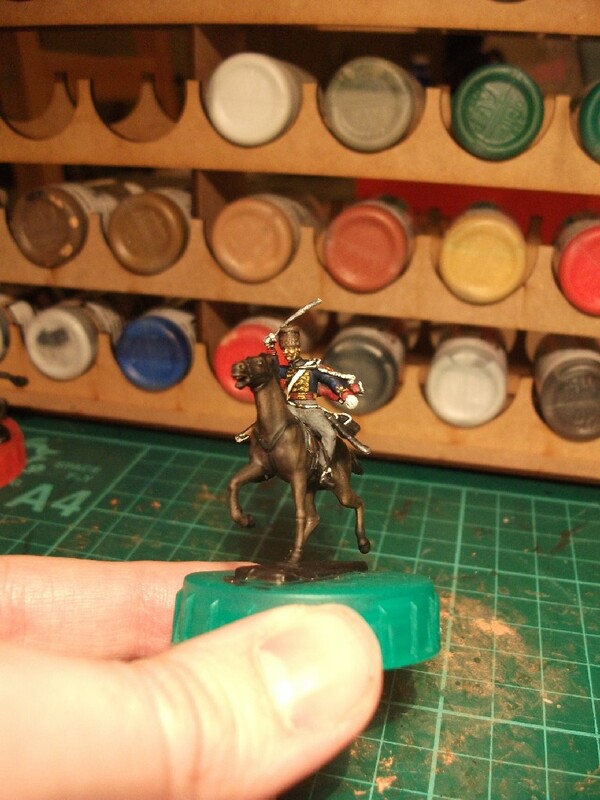 Lots to do on them still, as can be seen in the photos, and I haven’t even started on their horses. In fact, the horses are a bit of a problem as they have been sculpted without a sheepskin blanket cover. Which frankly just won’t do. Obviously. 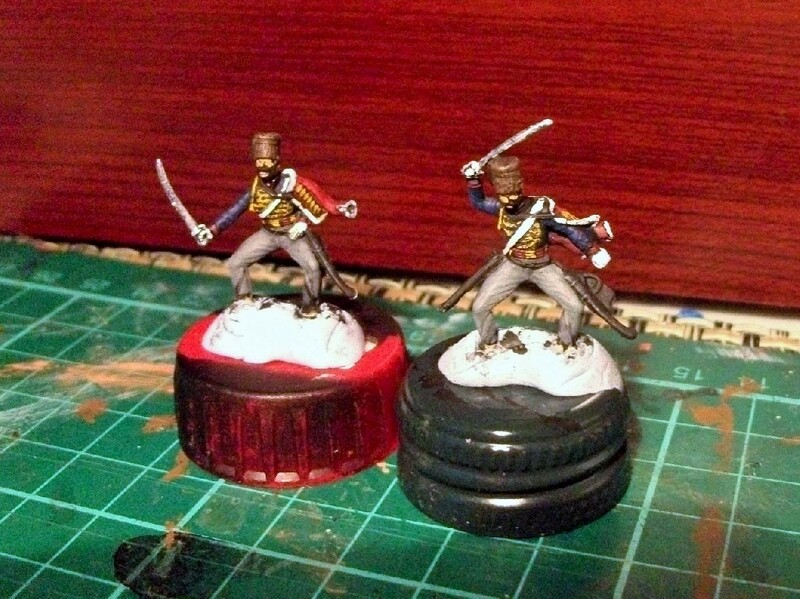 I mean, these are hussars, for heaven’s sake! 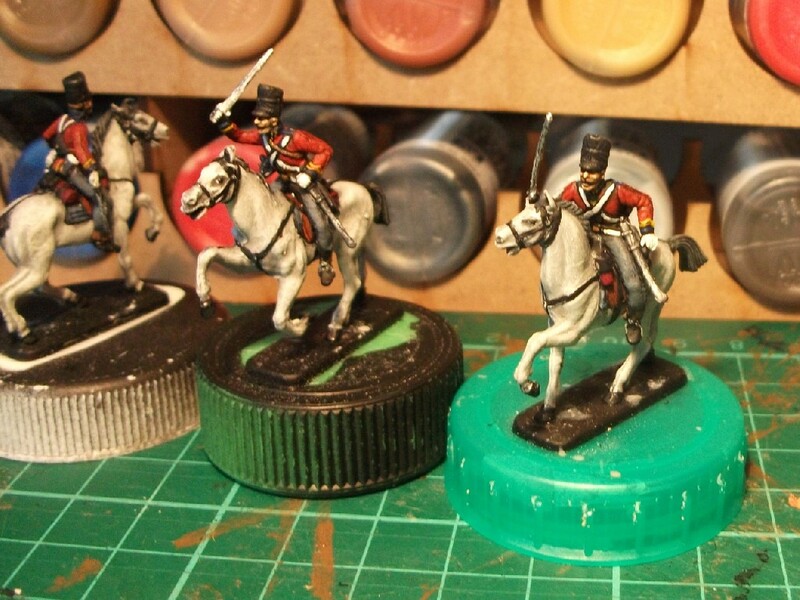 Verden and Bremen Hussars in progress.